The Station, a first-person sci-fi mystery from some of the minds behind Destiny, League of Legends, and BioShock Infinite, will come to PlayStation VR, HTC Vive, and the Oculus Rift in Q3 2018. A new Free Exploration mode debuts on PC today and will come to Xbox One and PlayStation 4 later this month. After discovering an intelligent species on a distant planet, a small research crew has been sent to observe their behaviour and determine if inter-species contact would be wise. While surveilling the planet from the safety the stealthed Espial Space Station, the team discovers that the denizens of the new world are engaged in constant, bloodthirsty war. Just after this discovery, the Espial’s stealth capabilities fail, and communication with the crew is cut off. As a recon specialist, players are sent in to discover the ultimate fate of the research group. Are they alive? If not, were the beings from the planet of endless war responsible? Soon players will find themselves immersed in their investigations of the Espial in VR. Listening to the last messages left by the observers and following what could very well be the last moments of their lives becomes more personal. A new Free Explore mode is available today that gives players complete access to the Espial, making it possible to wander the dark halls of the station at their own pace. Without doors to unlock or puzzles to solve, the facility exhibits a more contemplative nature that lends itself well to taking of the Progressive Sci-Fi theme. VR will enhance Free Explore mode, allowing players to truly take in the sights. The Station’s in-game Augmented Reality UI feels even better in VR. This system provides a visual representation of conversations, correspondence, and a map at all times. When opening the menu, a single button press deploys the menu, which hovers in physical space and can be left there as long as players want. Throughout April, six new languages will be added to the game so more people around the world can appreciate the mysteries of The Station. Spanish, Russian, French, Italian, German, and Portuguese translations will come to PC every two weeks over the next month and a half and arrive on PlayStation 4 and Xbox One later this year. 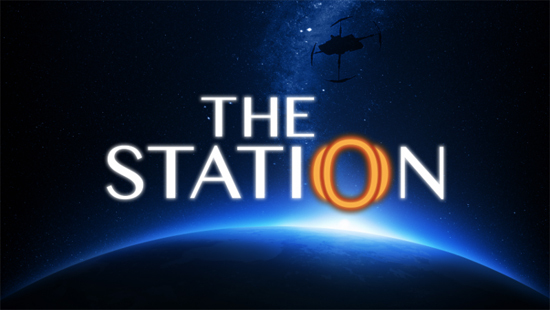 The Station is now available in English and retail for $14.99 / £14.99.